Hey, y’all! This weekend Andrew is in Seattle at Emerald City Comic Con meeting all my heroes, but I had to stay home. Bummer! Fortunately, that means I can take the helm for Around the Web this week. We start off with a freaky, first look at the new Green Goblin, who will be appearing in Spiderman 2. Homeboy looks like he’s been dining on extremely fresh meat a la a certain former hobbit. If you’ve listened to the Therefore I Geek podcast “Comic Book Influences,” you’ll know that Spider-Man has a special place in my heart. 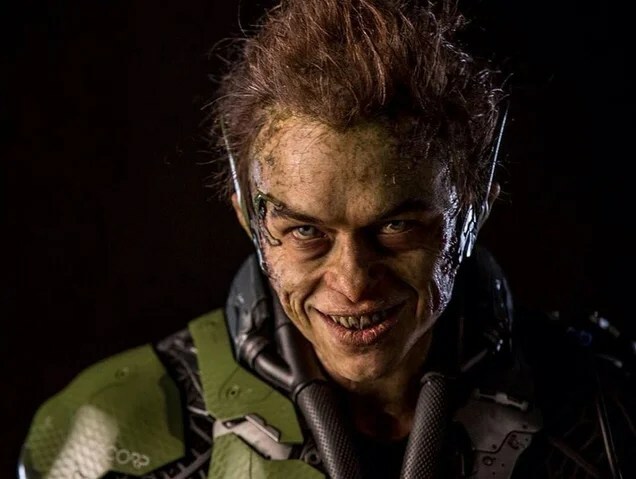 I’m excited to see a Green Goblin that is much closer to how I used to picture him. Don’t you think he looks a little Gollum-esque? In the spirit of the myriad conventions that Therefore I Geek staff will be attending this year, this website has a list of all (or at least, almost all) of the conventions in the United States and where/when they are being held. I am very glad to have found this, because keeping track of all the cities with all the conventions all year round is really tough to do. My hat is off to these fellows. I mean, everyone knows THIS one, but what about the others? Shhhh, don’t tell Andrew, but I’m starting our “Game of Thrones” week a little early with a HUGE announcement: George R. R. Martin has released another chapter from the long awaited next book in the A Song of Ice and Fire series, The Winds of Winter. I have gone incredibly far out of my way to avoid spoilers and speculation that could be a spoiler, so I have not read this chapter, but I hear that it is phenomenal. So has winter finally arrived then? But we’ve just had our first taste of spring! Well, that does it for this special edition of Around the Web. What are you all up to this weekend? Let me know in the comments. Maybe I’ll join you!